Raumfahrt+Astronomie-Blog von CENAP - Blog: Raumfahrt - Can anyone own the Moon? 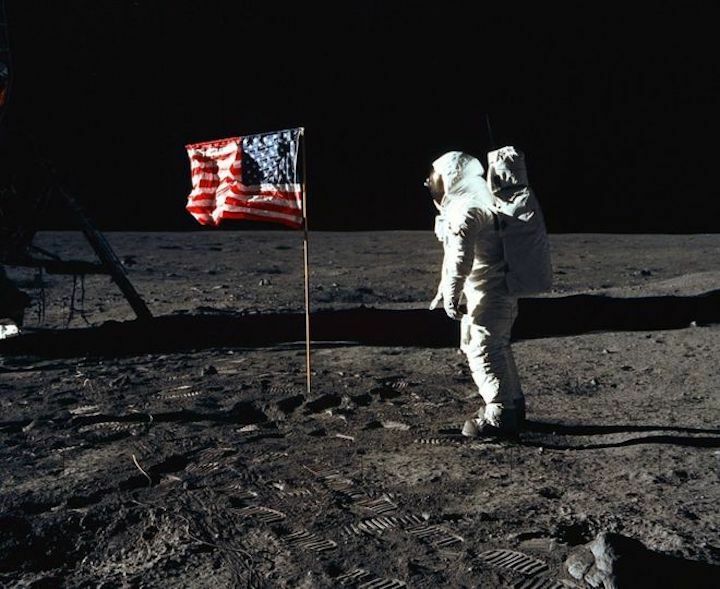 It's almost 50 years since Neil Armstrong became the first man to walk on the Moon. "That's one small step for man," the US astronaut famously said, "one giant leap for mankind." Shortly afterwards, his colleague Buzz Aldrin joined him in bounding across the Sea of Tranquility. After descending from the steps of the Eagle lunar module, he gazed at the empty landscape and said: "Magnificent desolation." Since the Apollo 11 mission of July 1969, the Moon has remained largely untouched - no human has been there since 1972. But this could change soon, with several companies expressing an interest in exploring and, possibly, mining its surface for resources including gold, platinum and the rare earth minerals widely used in electronics. Earlier this month, China landed a probe, the Chang'e-4, on the far side of the Moon, and it managed to germinate a cotton seed in a biosphere on its surface. It's looking at setting up a research base. The Japanese firm iSpace is planning to build an "Earth-Moon transportation platform" and carry out "polar water exploration" on the Moon. Moves are afoot, so are there rules to ensure Aldrin's desolation remains undisturbed, or could Earth's only large natural satellite become involved in a commercially and politically driven land and resources grab? Potential ownership of celestial bodies has been an issue since space exploration began during the Cold War. While Nasa was planning its first manned lunar missions, the UN put together an Outer Space Treaty, signed in 1967 by countries including the US, the Soviet Union and the UK. It stated: "Outer space, including the Moon and other celestial bodies, is not subject to national appropriation by claim of sovereignty, by means of use or occupation, or by any other means." Joanne Wheeler, director of space specialist company Alden Advisers, describes the treaty as "the Magna Carta of space". It makes planting a flag on the Moon - as Armstrong and his successors did - "meaningless", as it doesn't confer any "binding rights" to individuals, companies or countries, she adds. In practical terms, land ownership and mining rights for the Moon didn't matter too much in 1969. But as technology has developed, exploiting its resources for profit has become a more likely - if still rather distant - prospect. In 1979 the UN produced an Agreement Governing the Activities of States on the Moon and Other Celestial Bodies, better known as the Moon Agreement. 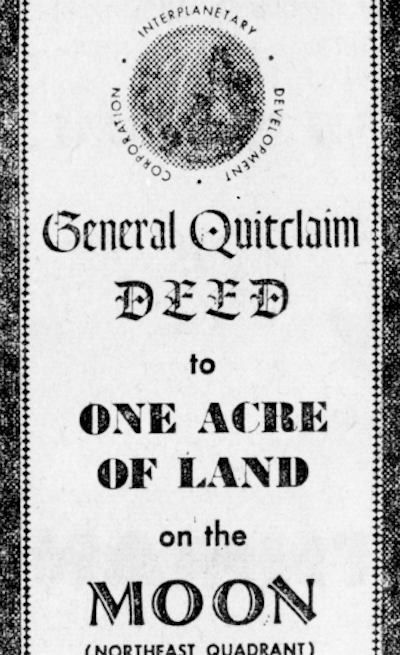 This stipulated that they must be used for peaceful purposes, and that the UN must itself be told where and why anyone planned to build a station. The agreement also said that "the Moon and its natural resources are the common heritage of mankind" and that an international regime should be set up "to govern the exploitation of such resources when such exploitation is about to become feasible". The problem with the Moon Agreement, though, is that only 11 countries have ratified it. France is one, and India is another. The biggest players in space - including China, the US and Russia - have not. Nor has the UK. Anyway, Ms Wheeler says, it's "not so easy" to enforce the rules outlined in treaties. Different countries incorporate the documents they sign into law and have the job of ensuring companies and individuals abide by them. Prof Joanne Irene Gabrynowicz, former editor-in-chief of the Journal of Space Law, agrees that international agreements offer "no guarantees". Enforcement "is a complex mixture of politics, economics and public opinion", she adds. And the existing treaties, denying national ownership of celestial bodies, have faced an extra challenge in recent years. In 2015, the US passed the Commercial Space Launch Competitiveness Act, recognising the right of it citizens to own any resources they manage to mine from asteroids. It doesn't apply to the Moon, but the principle might feasibly be extended. Eric Anderson, co-founder of the exploration company Planetary Resources, described the legislation as the "single greatest recognition of property rights in history". In 2017, Luxembourg passed its own act, providing the same right of ownership to resources found in space. Deputy Prime Minister Etienne Schneider said this would make his country "a European pioneer and leader in this sector". The will to explore and make money is there, with countries seemingly becoming more eager to help companies. 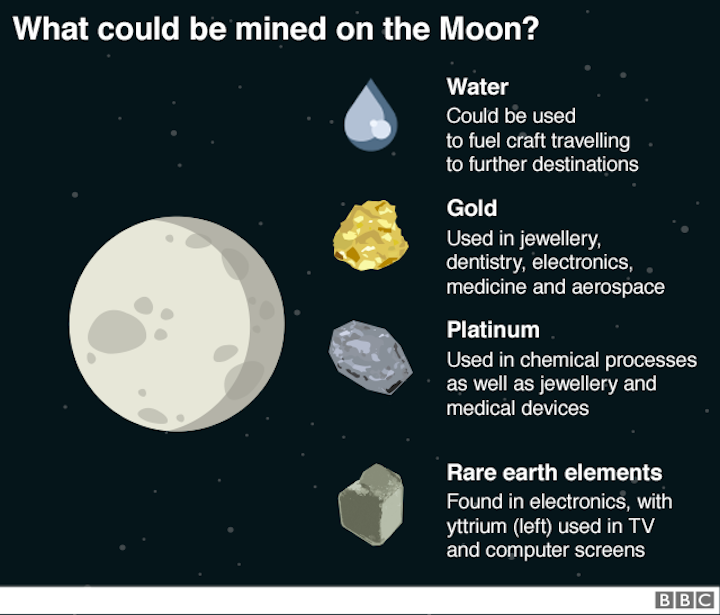 "Clearly mining, whether with the intention of returning the materials to Earth or to store or manufacture with them on the Moon, is the very opposite of not doing any harm," says Helen Ntabeni, a lawyer at Naledi Space Law and Policy. She adds that it could be argued the US and Luxembourg have "bullied" their way out of the Outer Space Treaty's stipulations. "I'm quite sceptical that the high moral notions of the world exploring space together as equal nations will be preserved," she says. Raumfahrt - Can anyone 'own' the Moon?